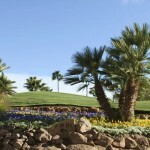 Superstition Springs Golf Club is a traditional non-desert layout, and a tropical oasis in the middle of the Sonoran Desert. Superstition is a welcomed change if you want a break from the desert terrain that most courses in Arizona offer. 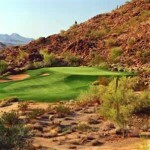 Longbow Golf Club is championship desert style Arizona golf course located near the Superstition Mountains. The course winds through the natural lay of the desert boasting some amazing views of Red Mountain, Usery Mountains and plenty of Saguaros. Las Sendas Golf Club is considered the true challenge of the Southwest since it is deemed the toughest desert course in the state of Arizona. 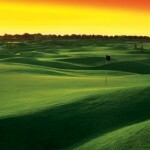 Lined with thick untouched natural desert, the fairways play narrow demanding accuracy in order to score well. 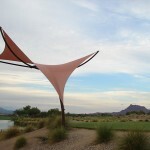 Kokopelli Golf Club is a championship traditional links style golf course that offers rolling wide fairways alongside stunning views of the San Tan Mountains. Large island greens add extra beauty to the golf course but beware of severe undulation of the greens.